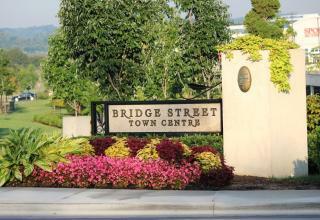 Bridge Street Town Centre is the premiere lifestyle center in Huntsville. Here you’ll find more than 70 upscale shops and restaurants anchored by a flagship Belk department store, plus the 210-room Westin Huntsville hotel and 14-screen Monaco Pictures. Retailers exclusive to Huntsville include Apple, H&M, Michael Kors, Anthropologie, J. Crew, P.F. Chang’s, Pandora, Orvis and Texas de Brazil.